Prefab or prefabrication is the technique through which individual components of the structure are factory made and shipped to the on site location for assembling. Prefabricated steel buildings are becoming more and more popular for a variety of reasons. These structures have a ton of advantages over more conventional building methods, and thus you should seriously consider this for your metal building needs. There was a time when prefabricated steel buildings were looked down upon. This was largely because the technology and concept was still in the nascent stage. The main opposition was that all structures looked similar. However, in today’s world, this is far from truth. You can get all the variety in the world that you want. There have been numerous technological advances in the field of prefab steel buildings, and thus you should not be prejudiced against them. Today, at a first glance, you may not even be able to tell a steel building from a non-steel one! Such is the variety that you can customize prefab steel buildings the way you want right up to the size, dimensions and type of your doors and windows. You can select the exteriors, the interiors and all the features that you would want in your prefabricated steel building. For example, if you want a skylight in your prefab steel building, you can readily get it without a sweat. This gives a lot of freedom to people to select and choose what they find the best features for their application. Prefabricated steel buildings are highly economical. Since they are made on a large scale, they naturally come cheaper. In addition, technology has rapidly evolved that allows the making of pre fab steel buildings structure simple, easy and cheap. Also, you immediately save on the labor costs, which can be a great saving. To erect your prefabricated steel building, you can simply take the help of your family and friends, and you can have the structure ready in no time. Thus, on the cost side, nothing beats prefabricated steel structures for the quality they offer. The highest quality for your money is all but assured for your investment in prefab steel buildings. 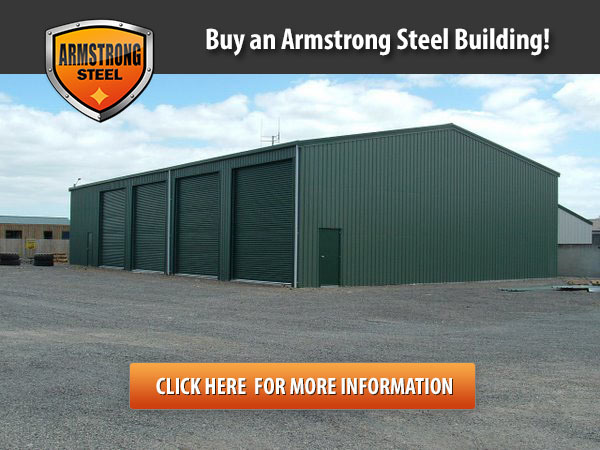 Armstrong Steel is one of the leading providers of prefabricated steel metal buildings, we have the expertise in providing turnkey building solutions to our clients across the United States. 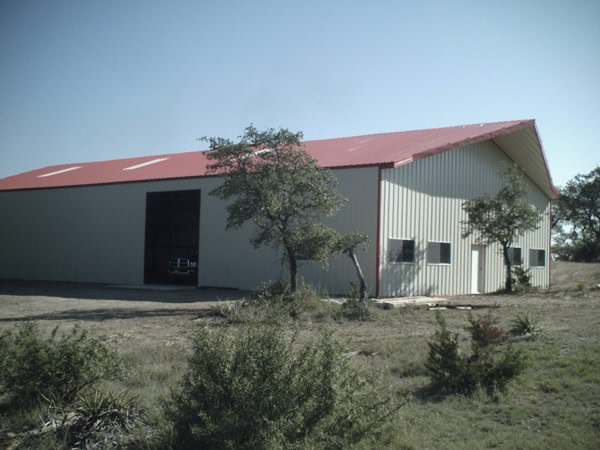 Our prefabricated steel and metal buildings come in a wide variety of range and sizes. Our steel building designers can create both standard and custom designed buildings to suit your needs. Industrial Prefabricated Steel Metal Buildings – Warehouses, manufacturing facilities, equipment storage. Commercial Prefabricated Steel Metal Buildings – Offices, small industries, shops, supermarkets, malls. Institutional Prefabricated Steel Metal Buildings – Exhibition halls, institutes, schools, auditoriums. Recreational Prefabricated Steel Metal Buildings - Swimming pool, sports stadium, gymnasium, theaters. Agricultural Prefabricated Steel Metal Buildings – Storage, dairy farms, Riding Arenas, Barns. Prefab buildings are the most modern and economical “green” solution and are made with the most modern approach of design and engineering. 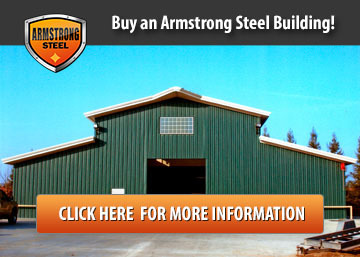 Pre-fabricated steel buildings by Armstrong Steel are AISC-MB and IAS Certified. 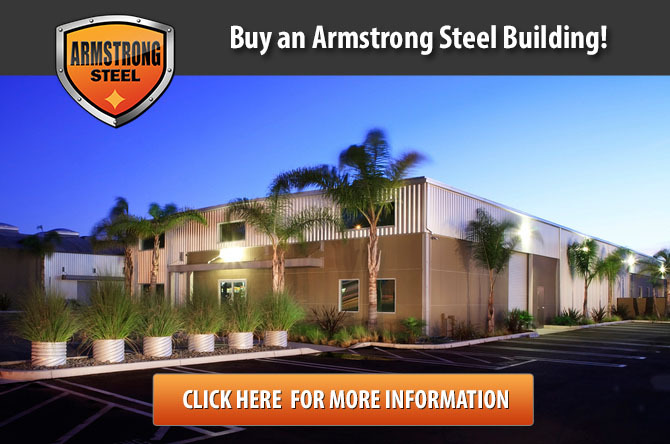 Let Armstrong Steel show you how to save on overall costs, construction, and time by opting for a steel building solution. 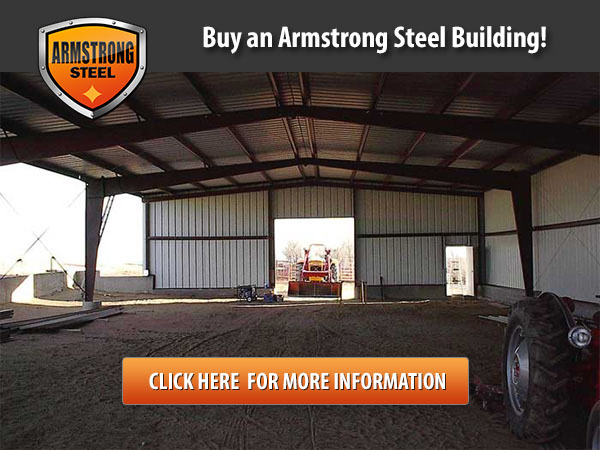 Get your steel building prices today! Have Questions? Would you like to learn more? 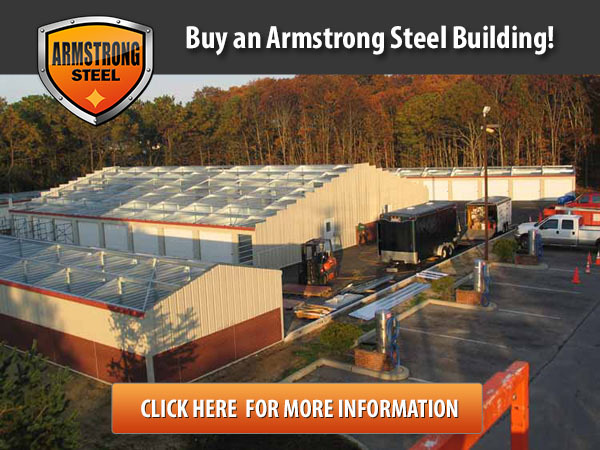 Contact America's leading prefabricated steel structure building company today!